I had a fantastic weekend. My boyfriend and I decided to get out of the city. 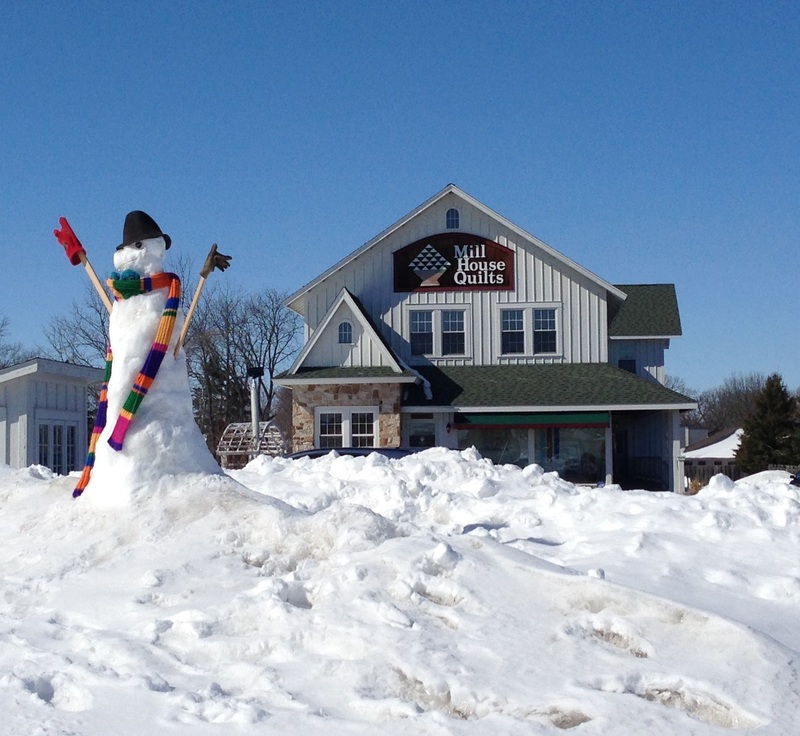 Since we didn’t want to spend the whole weekend driving, we settled on nearby Madison, Wisconsin. Most of our weekend activities don’t really relate to this blog: we ate at cute restaurants, went to a museum, walked through the capitol building and the university arboretum, etc. 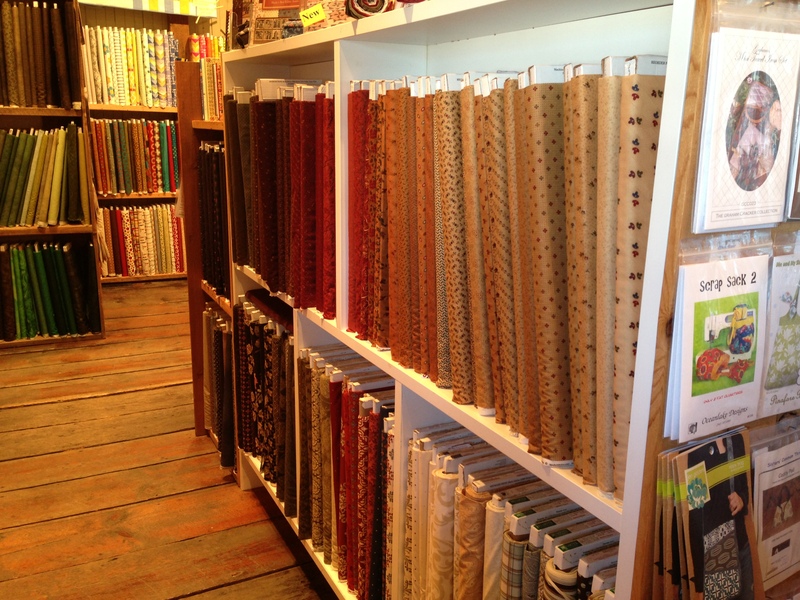 But I did squeeze in a few minutes at two of Madison’s fabric stores: the Sewcial Lounge and Mill House Quilts. 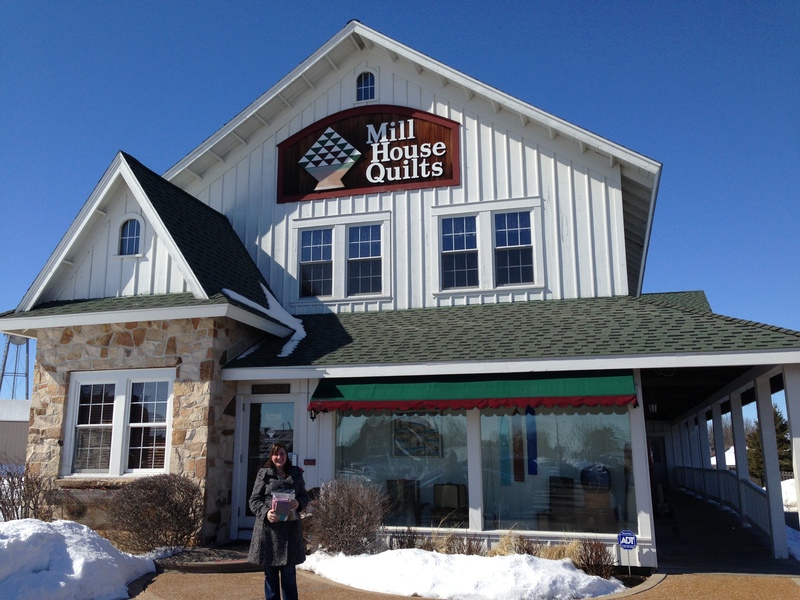 Comparatively, Mill House Quilts is enormous. I don’t know why I don’t remember seeing them at the Quilt Expo last September. Maybe their booth was so full of people that I decided not to stop, or maybe the fabric selection was so wide that I felt overwhelmed. Maybe I got distracted by coffee… In any case, I see the sign every time I drive from Chicago to visit my parents in South Dakota, only I don’t want to make the ten-and-a-half hour drive take longer than necessary. I was glad for a chance to stop without cutting into family time. The store was frankly even better than I’d expected. Again, I was expecting some kind of megastore the size of a warehouse. It wasn’t that. But it was still the biggest fabric store I’ve seen that wasn’t a Joann’s, and I would have been happy to receive as a gift almost any fabric in that store. There were dedicated areas for civil war prints, modern fabrics, batiks, etc. 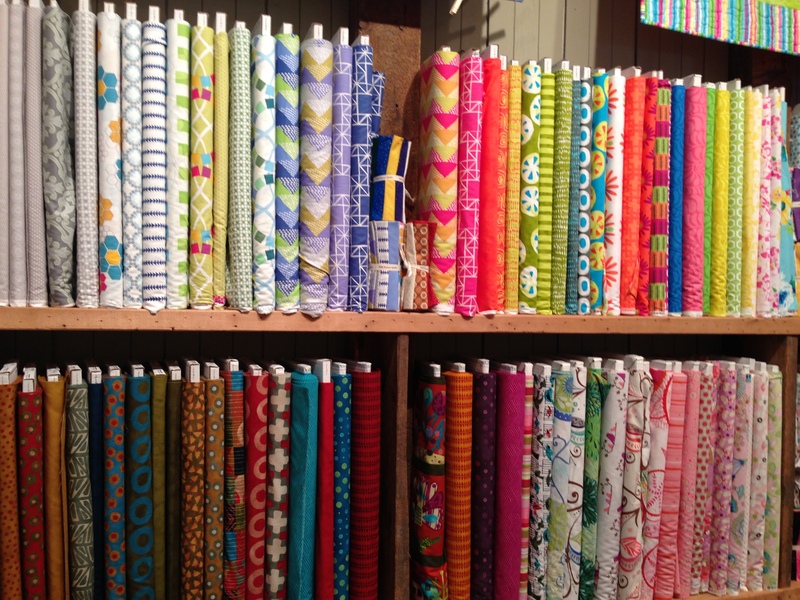 There was a whole room full of sale fabrics. 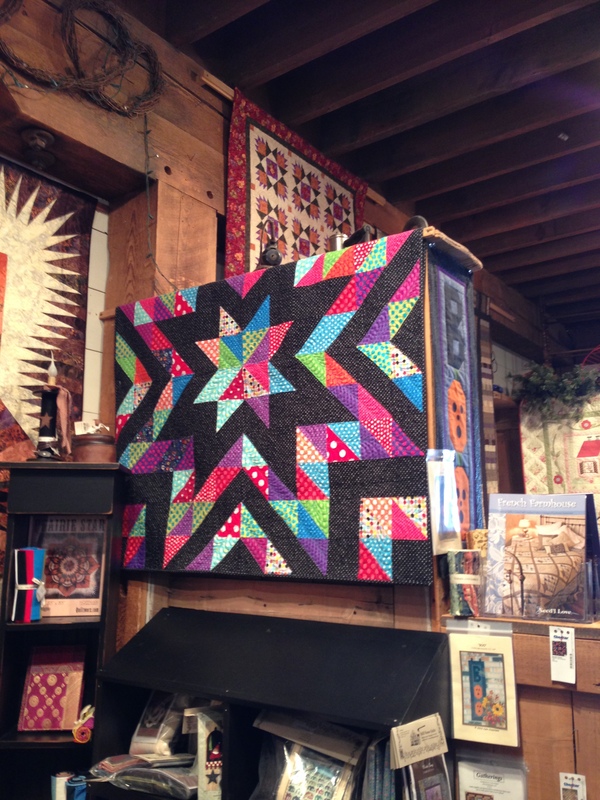 I think the best part, though, was the variety of quilts hanging from the rafters of the store. 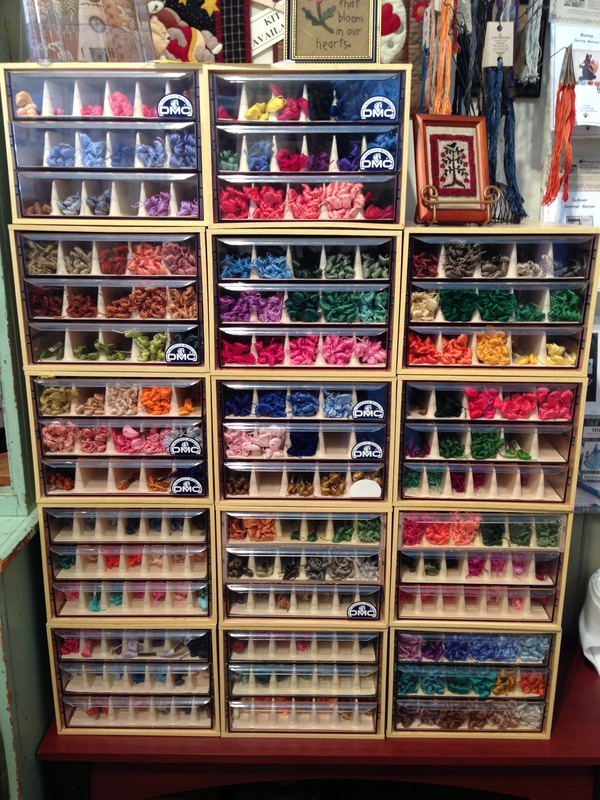 There were many styles, many colors, and it SO made me want to go home and start a new project! I took a brochure with me and was a little awed by the large number of classes. I only wish I lived closer (and didn’t spend 3 hours a day in commuter traffic already) so I could attend some of them! Okay, so I broke down and bought a few red and white fabrics for an idea that’s been percolating–even though I’m not finished with the myriad other projects I’ve started. That’s me standing outside the store with my purchases! 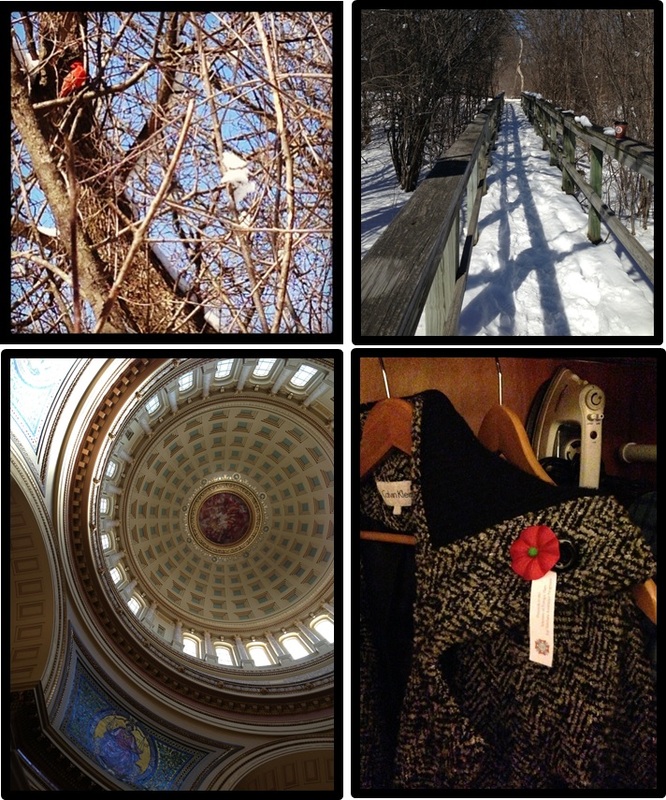 Categories: Places & Events, Quilts, Travel Inspiration | Tags: arboretum, capitol, cardinal, chicago, dmc, driving, embroidery, fabrics, floss, getaway, highway, in color order, inspiration, madison, mill house quilts, modern fabric, project, quilt expo, quilt shop, quilt store, quilting classes, road trip, selection, sewcial lounge, sewing lounge, shopping, snowman, south dakota, travel, wisconsin | Permalink. I will be visiting my daughter in Madison next month and she promised to take me to the store. It looks like great fun! Just need to be sure to have lots of time to shop! So glad both that you found my blog before your trip and that you left a comment! I doubt you’ll be disappointed. I had all the time in the world and still felt rushed because all the fun colors and prints were a little overwhelming… in a good way! I have driven by that sign many times on our way up to River Falls, but never stopped. Now I will! It took me quite a few drives before I stopped, but I’m so glad I did! I also really liked the town of Madison. Great trip overall!